Advanced-Connectek USA Inc. (ACON USA) is a subsidiary of Advanced-Connectek Inc., which was founded in 1986 to develop and manufacture innovative electrical and electronic connector products worldwide. Today, the company is rated among the leading manufacturers of I/O connectivity in the Datacom-Telecom, Industrial, Medical and Mobile Device markets. 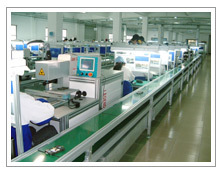 In addition, cable assembly and component sub-assembly manufacturing expertise is provided through extensive engineering analysis and proven technical collaboration to provide solutions that exceed expectation. 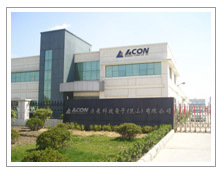 As a publicly traded Taiwan-based company, ACON has extensive manufacturing facilities in Asia through which world class support is provided to customers on every continent. Ideas are focused on a professional approach in the business practices and providing superior customer service on a global scale. ACON’s mission is to provide comprehensive services & interconnect solutions to our customers and partners in the US and around the world. Growth demands continued innovation of key connector technologies and to address this criteria, ACON research and development has established connectivity strategies to address high-value product applications and in doing so is delivering reliable and versatile connector solutions to the entire product portfolio. ACON USA looks forward to providing a solution to your connectivity application.